What is Powerful Beyond Measure 3 Steps to Claim Your Power Within for a Happy and Healthy Life?l Keys to a Vibrant, Passionate and Empowered You? Powerful Beyond Measure is an “active miracle” that unfolds as you read these pages and explore your Power Within. Powerful Beyond Measure is a complete transformational guide to living a life of authenticity and abundance that’s deeply rooted in love, acceptance, compassion, and kindness. In Powerful Beyond Measure, you’ll explore your past, empower your present, and envision your future, where infinite possibilities await and are abundantly available to you. Readers learn how to discover and embrace their inner power, release and heal the emotional residue from the past, and envision a future of unbounded possibilities that allows their passions and purpose to be fulfilled. Through insight, self-exploration, and step-by-step, practical exercises, Powerful Beyond Measure guides readers along the journey of lifelong spiritual growth, empowering them to take control of their destinies and create lives filled with joy, health, happiness, and success. The Power Within Process is gentle, loving and helps you find the answers that you seek and brings you happiness, love, understanding, forgiveness and clarity of what is your passion and purpose. This powerful book is perfect no matter where you are on your spiritual journey and will be a reference that you turn to many times throughout your life. How does one Claim their Power Within? There are three essential steps that one needs to explore and create shifts that provide lasting results. Powerful Beyond Measure is a one of a kind book that really connects to the reader and helps them to connect the dots to see the common themes that perpetuate throughout your life. The first step is Explore Your Past and Ease Your Pain when one reflects back on your past looking for how, why, and when you came away with a perception, self-limiting beliefs, behavior, and sense of ‘lacking’ or not being ‘good enough’ that continues to be your mental memory and repetitious patterns that you see in many aspects of your life. With these understanding you’re able to identify your soul lessons. Each of us come into this physical world with a soul lesson (s) to experience, grow, and learn from during this physical life. Most people have no idea what their soul lesson is, do you know yours? The second step is Empower Your Present and Embrace Your Self. Here you learn to be empowered and take conscious steps to change behaviors and beliefs that are still limiting you in some way. Being able to embrace your glorious self with your greatness and weakness and discovering your unique spiritual gifts you start to rekindle your passions and purpose. The third step is Envision Your Future and Expand Your Possibilities by taking your newly obtained knowledge and inner wisdom and understanding that you are Powerful Beyond Measure. You have a unique role to play and you embrace your opportunities to spiritually grow. You no longer see yourself as a victim but are eager to be the victor as you reach towards your inner desires. Goal setting and achieving success, as well as, connecting to your intuition and the higher intelligence totally transforms how you approach life with confidence, trust, and understanding what path you’re directed to take that is for your highest good and the purpose that you aspire to. It is when you integrate and understand who you really are, your inner wisdom will be heard and the Universe will create in divine timing all that supports your passion and calling. I believe there is no greater feeling than seeing and experiencing miraculous synchronicities throughout your life, where you are led in a direction that has greater scope and reach than you could ever have imagine, and where your gift, your uniqueness can be felt by the world and allow you to be Powerful Beyond Measure. What is a Soul, Soul growth, Soul lessons, Spiritual Gifts and Soul purpose? A soul is considered an expression of your spirit, the divine essence of a person. In religious theology, a soul is the immaterial aspect of spirit that partakes of divinity and is considered to survive death of the physical body. Soul growth is about learning through life’s experiences though not in an academic setting but you might say the School of Life. This growth is achieved through overcoming challenging experiences: struggles, conflicts, pains, difficulties that are tied to your spiritual life lessons. Many believe that the people in your life have been contracted prior to birth and agreed to be an integral part of these key opportunistic lessons. Likewise, you serve and connect with them to assist them on their spiritual journey. Spiritual or soul lessons are aspects that you are hoping as a spirit to fulfill during this physical life. As we grow spiritually there are aspects within our essence that need to experience different situations to understand and evolve. Spiritual Gifts I believe we have been given unique and special gifts that we need to discover, nurture, cultivate and most importantly use them to support your soul purpose. Soul Purpose is your soul work that you are supposed to fulfill during this physical life. I have also found that your soul purpose work is also tied to your unique spiritual gifts that lie within you. These gifted seeds lie dormant unless you nurture them, cultivate them as a farmer so they can grow, become bountiful and nourish many. Did you know the Soul knows what to do to heal itself, the problem is we do not listen? Your LIFE matters, you have a specific role that you’re to fulfill, it’s your destiny. Of course sometimes we get in the way, say no to all that is presented to you, and unfortunately are unable to express your greatness for the benefit of the world. Can you imagine what our world would be like, if everyone lived from a place of fulfilling a destiny that was bathed in love, compassion, understanding, kindness, forgiveness, with no judgment? Synchronicity is when two or more events or situations that are apparently unrelated or unlikely to occur together are observed together in a meaningful way. I believe we all have connections, interactions, and possibilities throughout our lives if we could only be open to observe, inter-relate with these windows of time, people, and opportunities and receive the gift or opportunity that is provided. These connections are very often, if not always beneficial for all the parties involved. You may feel that you’re the giver but rest assured that you’re also the receiver. True magic occurs when you engage in that synchronistic moment which is under Divine Timing where the Universe continues to open up even more to both of you and of course benefits the world by extension. “Synchronicity is an ever present reality for those who have eyes to see. How special is that, when you realize the Universe brings to you exactly what you need. Reiki is a natural, powerful holistic form of healing that can be used on anything in the Universe that can span time even into the past, present or future. 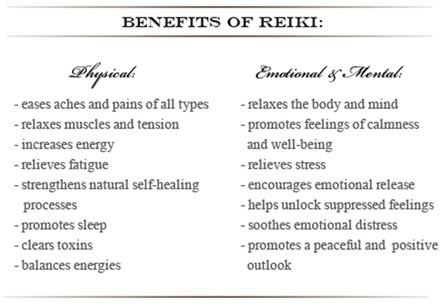 Reiki is a Japanese technique that treats the whole person including the physical body, emotions, mind and spirit creating many beneficial effects that include relaxation and feelings of peace, security and well being. While Reiki is spiritual in nature, it is not a religion. It has no dogma, and there is nothing you must believe in order to learn and use Reiki. In fact, Reiki is not dependent on belief at all and will work whether you believe in it or not. 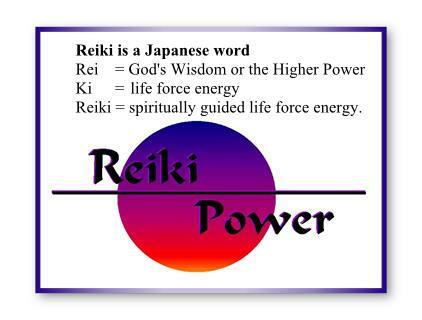 Most if not all believe that Reiki comes from God, a higher Source, and any benefits achieved with Reiki is thought to and gives glory to the divine supremacy. I have incorporated additional systems that support and work in conjunction with the Reiki that helps to address all levels of concern. If you only treat the physical symptoms but they have an emotional and mental component then the condition will persist since the cause has not been resolved. Reiki has been known to treat effectively many ailments and works in conjunction with other medical or therapeutic techniques to relieve symptoms, restore energy balance and promote recovery. There have been many reports with miraculous results. Sometimes these negative energetic patterns may be magnified in your own lives often being expressed with depression, addictions, abuse, suicide and even an expected level of socio-economic expectation. Often these energies are still tied to your soul lesson because they were not mastered in the past lives. Reiki Energy has a higher intelligence and knows where to move within your body. There are many experiences that an individual can feel: warmth, heat, tingling, vibration, gas movement, lightness, and elevation, complete relaxation, visions, colors, or nothing at all. Whatever your experience it is perfect and should not be judged by what you felt or did not feel. Reiki can cause no harm and is easily integrated with other traditional medical treatment. Anyone receiving Reiki should never stop their medical regimen that has been prescribed by their physician. If and when your condition improves your doctor will make the necessary changes in your course of treatment. Reiki can be used for nightmares, weight loss, help your business, clarity of mind, relaxation, grounding, balancing chakras and removing energy blocks, headaches, all types of pains, illness, anxiety, trauma and so very much more. 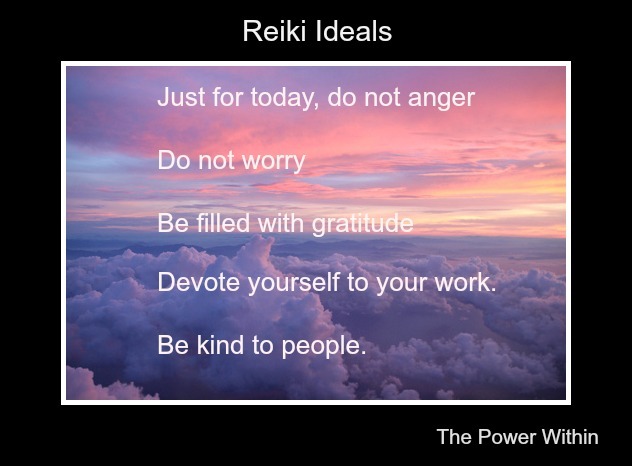 To schedule your own Reiki treatment please click here to purchase a Reiki session: either in person (Connecticut) or remotely (anywhere in the world). As a Reiki Master, I am able to repair aura tears, balance your chakras, clear blocked or sluggish energy and work on all aspects of health for you. I am able to set up a crystal Reiki grid that delivers Reiki healing energy continuous over time and distance. You can also send me a message at info@CynthiaMazzaferro.com to discuss your specific situation and options available to you. Reiki can be given in person, over distance and can even span time. Energy is not limited by distance or time and therefore Reiki can be sent to an individual(s), an event, and group anywhere or anytime. The possibilities are really endless. Often people struggle with what they cannot see but everything is made up of energy and vibration which can be impacted and affected affecting your health, and happiness. You cannot see someone’s breath typically, unless it is a cold winter’s day, or the individual is close to your body and you feel their breath but we all know and understand that there is an exchange of air. Even though for the most part you cannot see your breath you can understand its presence and even acknowledge that it had an impact. For example, blowing a candle out can extinguish a flame. When working with energy, every emotion, mental memory, and even physically on a cellular level can be impacted. When someone states a negative word there is a negative impact to one’s personal interior space and the space that is around them. Mental thoughts and emotions can have a charge, a negative contraction which influences how your energy moves through your body which even affects what is brought into your external life too. Just like you need blood to move through your body to stay healthy and strong so does you’re your energy need to move freely through your body. Often blockages are associated with emotions such as anger, hatred, fear, shame, guilt, betrayal, rejection, etc. There are many different Energy Therapies available today including tapping, energy medicine, hypnosis, and even more that all assist the client in “Letting Go” raising their energy to a higher vibrations such as love, happiness, gratefulness, compassion, forgiveness and joy. The memory of the original injury remains, but the energetic vibrational imprint that it’s tied to has been released and becomes more aligned and in harmony which will ultimately have an impact on your overall well-being. As a Reiki Master, you are trained to provide Reiki over any distance whether it be by land, air or even time. There is no separation. I have personally seen some tremendous, powerful healings that you may read in some of the stories and testimonies within Powerful Beyond Measure. How long is a Private Session and what can I expect? A private Reiki session of mine usually lasts between 1.5-2 hours, which includes the intake and discussing what your concerns are and how best to resolve them. I also teach you how to speak with your higher self, create affirmations, and provide you some instrumental energy work that you can continue and do on your own. If supplemental time is required, another treatment may be scheduled or the appointment may be extended if the schedule permits at an additional charge. When I treat an individual, besides the actual healing session I teach and incorporate many more aspects, empowering you to continue with concrete, tangible skills that you should use when you leave. Usually reiki is given while lying on a comfortable massage table, fully dressed although it can be administered in any position. 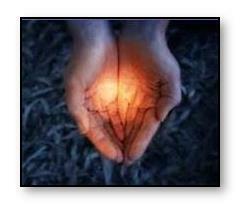 The Reiki energy is directed by lightly (although not necessary) ‘laying of the hands’ and is based on the long-standing understanding that an unseen ‘life force energy’ flows through us from the Universe to the client. If one’s ‘life force energy’ is low, disorganized, then we are more likely to get sick, feel stress, and produce physical symptoms which could result in injury or illness if not restored. I often include a meditative shamanic journey as a bonus that I feel significantly has a greater healing effect for the client. Usually the client will be asked to lie on their back and then their stomach, if this is something that they are able to do, adjustments can be made if not able to move into these positions. If the client would like crystals to be used during their session there is an additional charge. Crystals are chosen for each chakra based on the response from your own body. The crystals are activated and their qualities, vibrations, and benefits from each crystal will be incorporated into the healing session. How do you conduct a Remote (absent) Reiki Sessions? As a Reiki Master you are trained to be able to call and draw on the reiki energy that can cross all forms of time and travel. To conduct a remote (not present) Reiki Session, I would need your permission for treatment, full name, address to establish a stronger link, and something that connects you to me on a more personal level. This could be a photograph, some hair (DNA), handwriting, etc but even these items are not absolutely necessary. For example, I live in Connecticut, and let’s say a woman lives in Denmark, I could provide her with a Reiki Session as if she was in direct contact with me. I could also provide Reiki for a scheduled surgical procedure in the future. Really there are no limitations as to how reiki can benefit. A remote Reiki Session can be just as healing as one in person. The individual may experience the exact same feeling even though there is no physical connection. It is truly remarkable. Who brought Reiki to the United States and who did I study under? 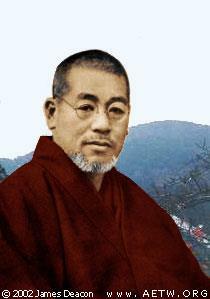 Mikao Usui, is the founder of the Reiki system of natural healing since 1922. Hawayo Takata came to Hawaii with the permission of the Japanese Reiki Masters and established a healing practice and a school to promote advancement and continuation in the western hemisphere. Takata picked some of her highly trained students and brought them to a master level in hopes they would continue teaching others the art of this healing. I have been fortunate enough to train under this pristine, original Reiki lineage. John Harvey Gray, (now deceased), was her third student to reach master level (1976). He created a teaching institute in New Hampshire where his loving wife, and my Reiki Master teacher, Lourdes Gray, continues on with the call to teach and spread healing to her clients and students alike. John Harvey Gray was the longest practicing and teaching Reiki Master in the west teaching over 700 Reiki classes. John and his wife, Lourdes, have written a book entitled, Hand to Hand: The Longest-Practicing Reiki Master Tells His Story. When will I notice the results from Reiki? Regardless of what you experience during the Reiki Session, the Energy will shift and integrate within your body continuing even after the session has ended. Improving flow, organization, and harmony within your system is what aids in restoring health. Clients usually find a dramatic difference during and immediately following the session although the positive reiki energy healing continues even after the treatment. Did you know that all cancer and veteran hospitals offer their clients and even family members the ability to have Reiki because of the known positive effects. Often people will state they feel “lighter”, things even look brighter as if someone turn the lights on, there is a complete relaxation and profound restful state of being. Many report the energy surrounding the reasons why they came to begin with as being less stressful, less emotions tied to them, with a reduction of symptoms, pains, depression, anger, guilt, and resentment. Once the treatment has ended, Reiki Energy continues to move within the body, continuing to heal and go where it is needed. As the energy is balanced, refreshed, there is a naturally feeling of love, light, forgiveness, hopefulness and a sense that everything is right, which are all emotions that carry a high vibration energetic imprint. Did you know your energy is supposed to flow from right to left and left to right, but sometimes are energies become disorganized, scattered, or even stagnant? It can happen for many reasons: toxins, food, stress, environment, anesthesia, medicine, diet, etcccc. But when your energies are disorganized you will feel weak, uncoordinated, and even complain that just walking forward can be exhausting. An easy way to see if your energies are flowing in the desirable alternating criss-cross pattern, try this exercise and determine which way you are most comfortable to perform it. Sit in a chair and tap your right hand to your right knee and your left hand to your left knee one at a time. Repeat a few times. Is that easy or difficult? Then tap your right hand to your left knee and your left hand to your right knee alternately. Which way felt more relaxed, comfortable where you didn’t have to think about the intended motion? If you preferred the right hand to the left knee and left hand to the right knee then your energies are flowing ideally in the cross the body direction. That is wonderful, but that doesn’t mean that you still couldn’t have areas that maybe clogged or blocked in specified regions. Maybe you have tinnitus, or upset stomach, or frequent headaches, etc they can all become symptomatic of poor energy flow/balance. If you preferred the right hand to the right knee and the left hand to the left knee then your energies are flowing in a homo-lateral pattern which is not ideal which will significantly impact your energy, health and vitality. The good news is this can be changed quite easily and you can retrain your body to have your energies flow in the ideal direction restoring your well-being and overall state of being. Most of you know that your right side of the brain is responsible for the left side of your body and the opposite for the left side of your brain affecting the right side of your body. So it shouldn’t surprise us that our energy also prefers to flow in that direction. Your visit to this website is not a coincidence, the Universe has guided you here. You have a choice, free will, as to whether you turn away or follow your intuition (your higher self), and reach out and connect with me on some level. Whatever level feels right to you. There are meditative tapes, 1:1 Coaching and interactive programs that will help to empower and guide you with your personal transformation. Check out why certain symptoms and their body locations have a direct link and find out what you can do about them in my book Powerful Beyond Measure. Not all physical symptoms have physical origins.